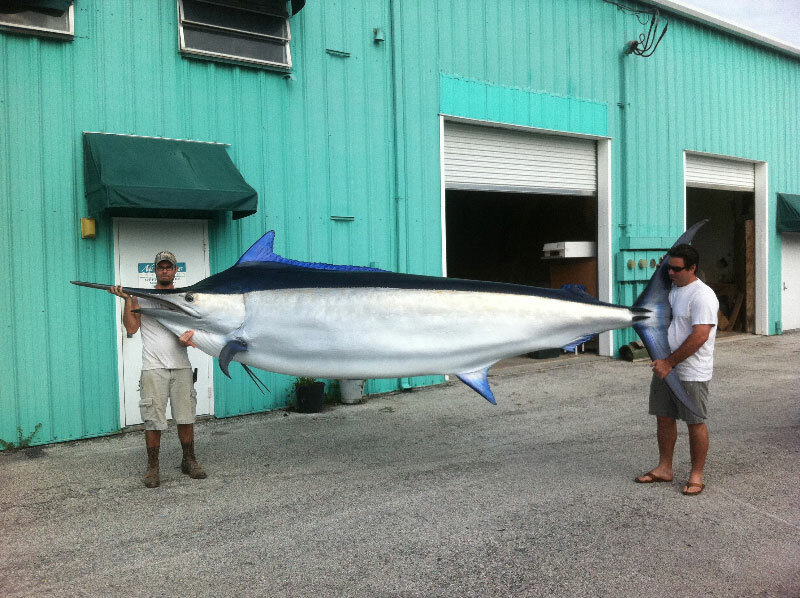 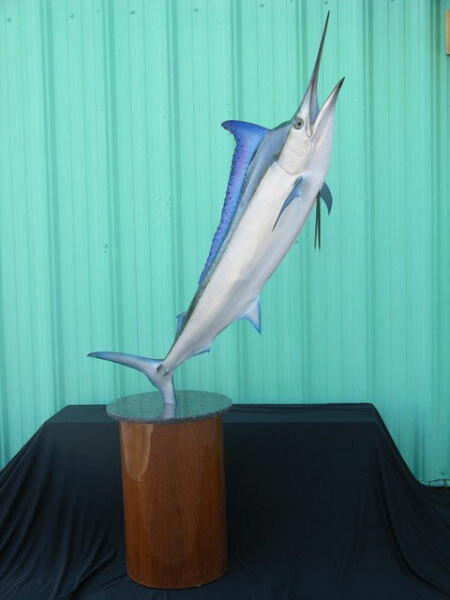 The black marlin (Istiompax indica) is a species of marlin found in tropical and subtropical Indo-Pacific and east Pacific oceans from near the surface to depths of 915 m (3,002 ft). 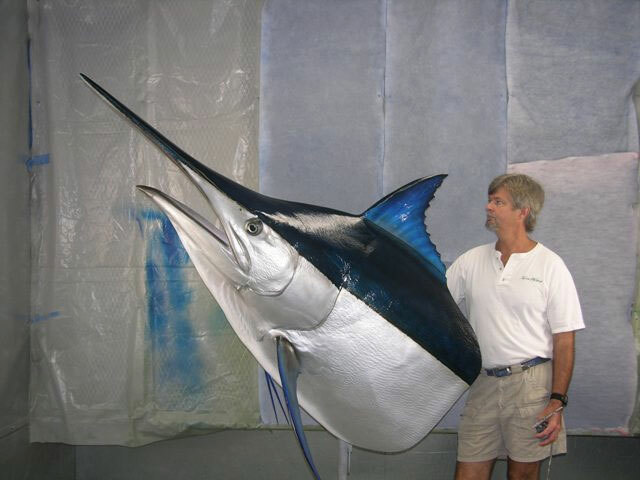 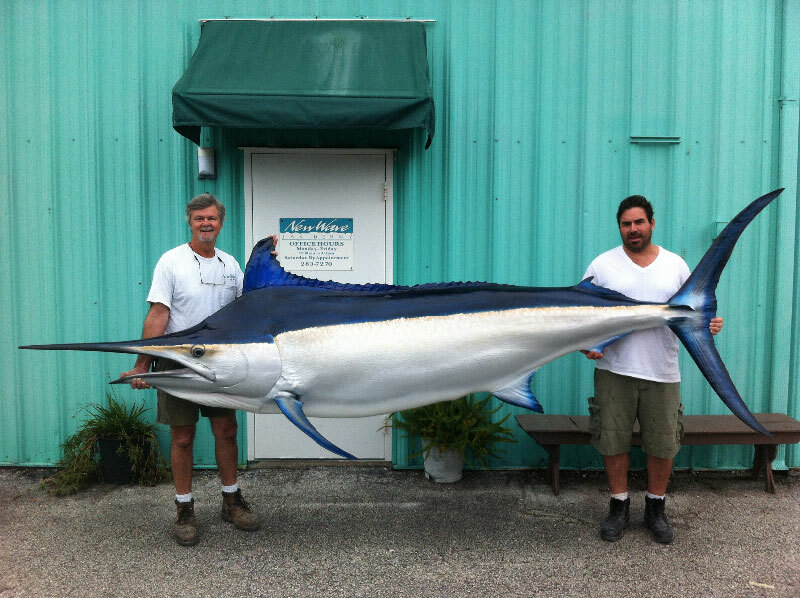 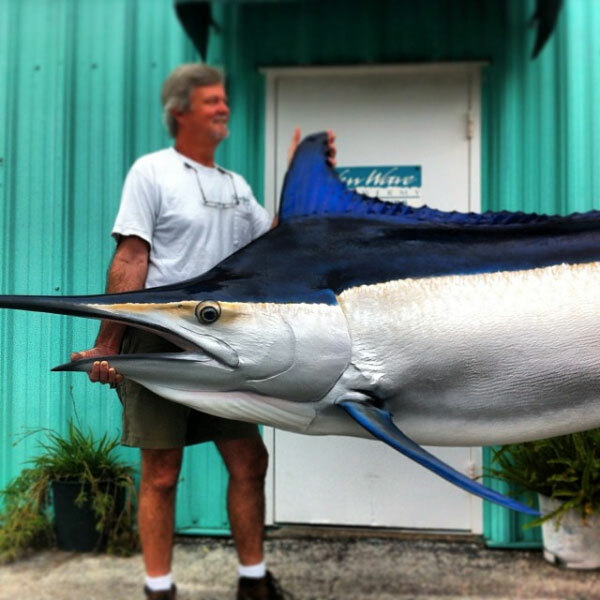 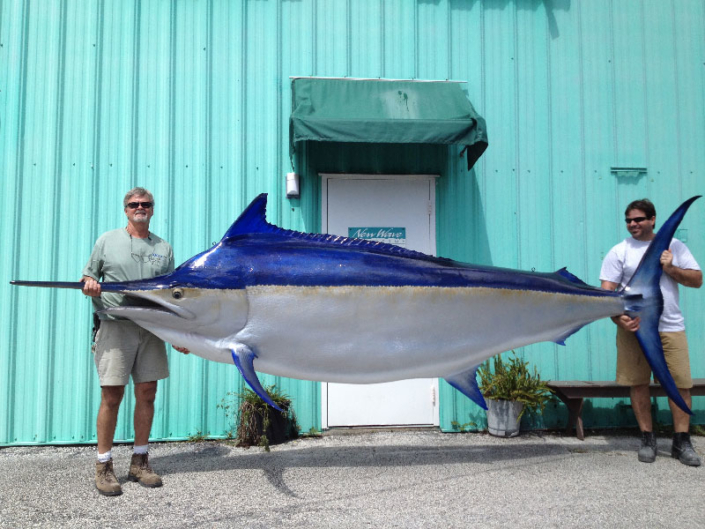 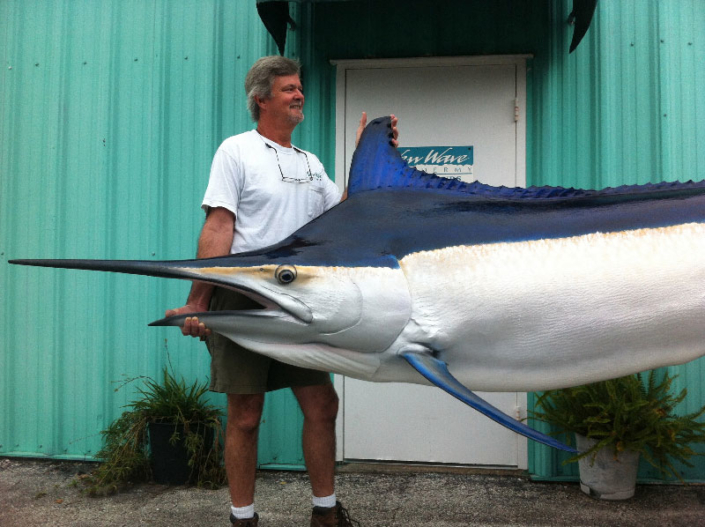 It is a large commercial game fish with a maximum published length of 4.65 m (15.3 ft) and weight of 750 kg (1,650 lb). 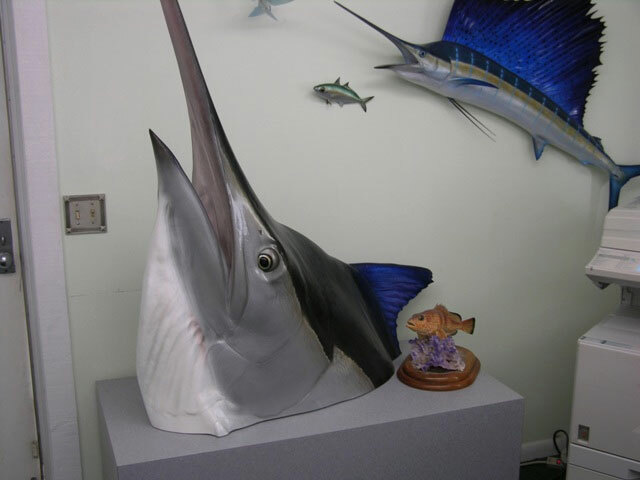 It is one of the largest marlins and bony fish. 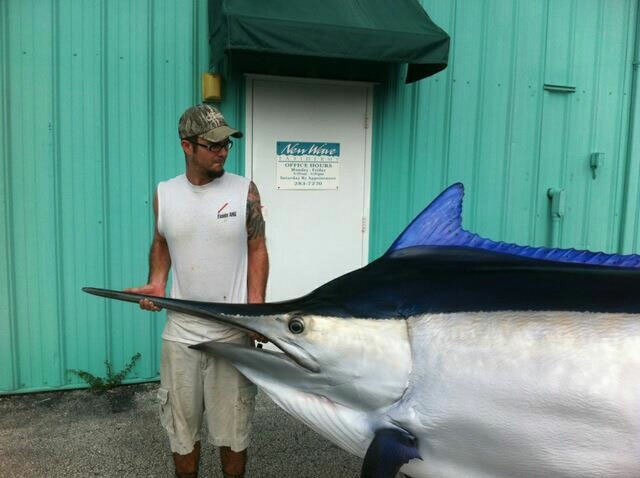 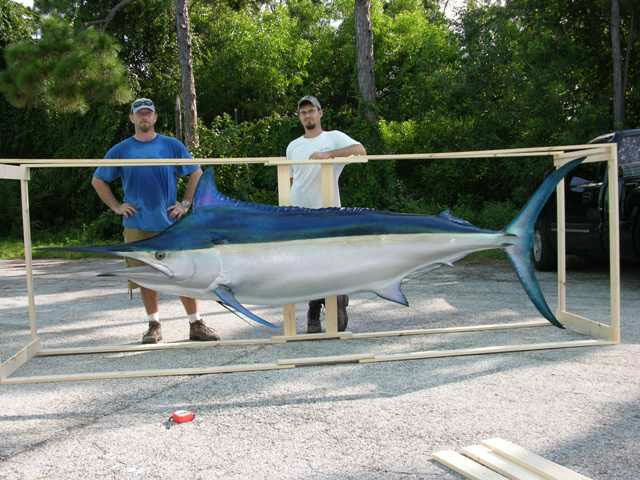 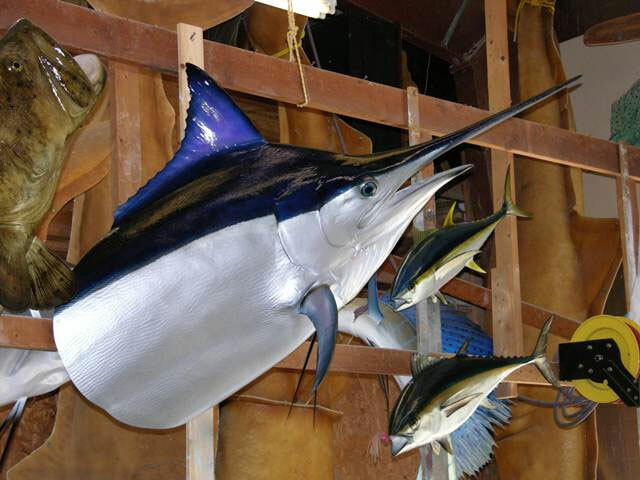 This marlin is one of the fastest fish, reaching speeds up to 80 mph (130 km/h). 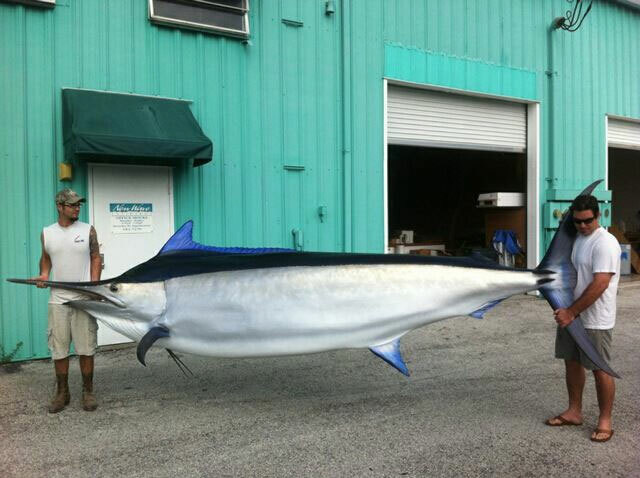 This fish is highly prized if caught.